Lessons | Swing Des Moines! Why should I take classes from Swing Des Moines? 2) Swing Des Moines makes sure that not only do our students have fun (see #1), but that they learn a lot, too. You will absolutely walk away knowing how to dance. 3) Experience. Our instructors have the experience necessary to make your class a success! 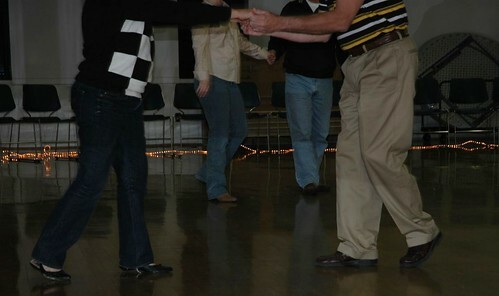 With over 25 years combined dance instruction, Randy, Sarah, Mike, amd Janet are experts at helping you learn to dance, improve your dancing, learn new moves, or un-learn bad habits. 4) Swing Des Moines offers a great value. Sure, you could pay more for dance lessons, but why would you? Swing Des Moines strongly believes in keeping our classes affordable! 5) Swing Des Moines is a nonprofit. That means we are working for you and the community, not for ourselves.